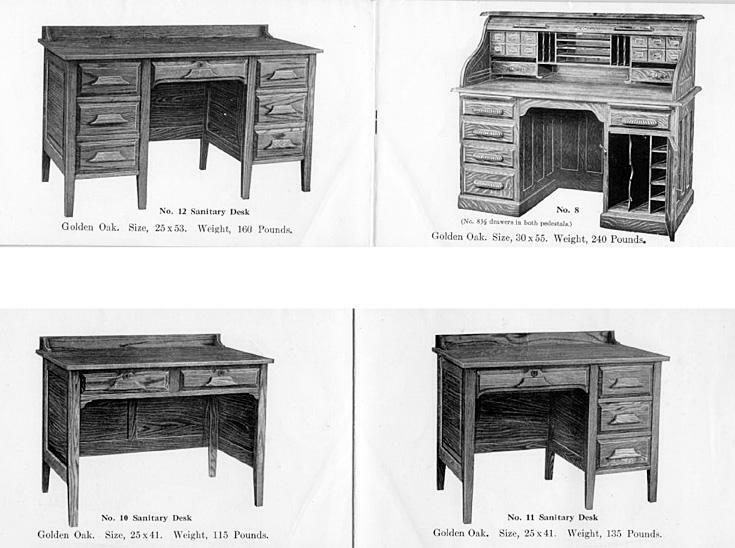 Four desk styles in Golden Oak. Four table-style desks in Golden Oak. 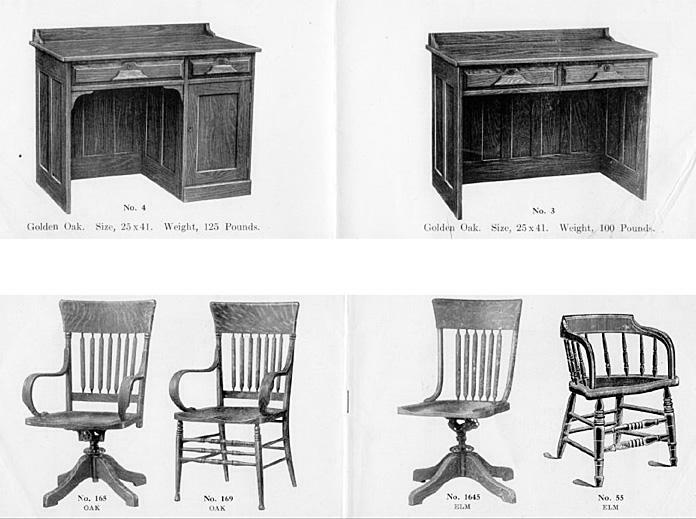 Two desk styles in Golden Oak, and chairs in oak and elm. Two desks with drawers in Golden Oak. 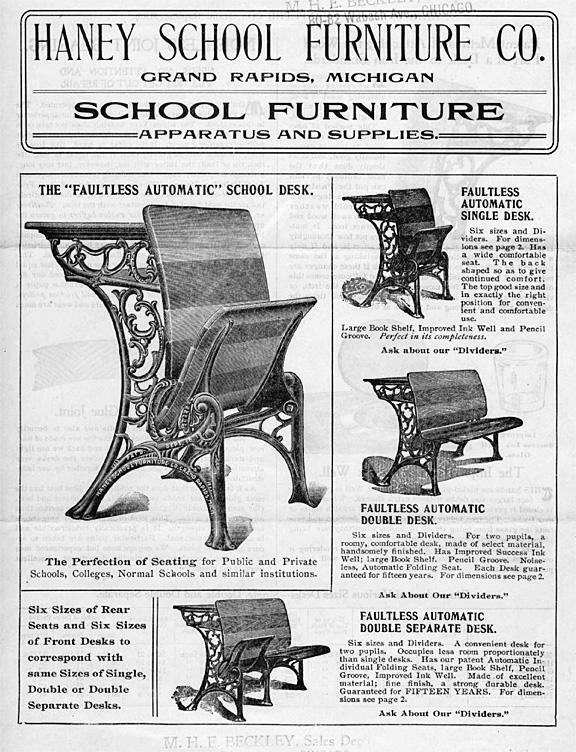 The cover of the catalog features a large illustration of the "Faultless Automatic" folding desk. The smaller pictures are of a Faultless Automatic single desk, a Faultless Automatic double desk, and a Faultless Automatic double separate desk. 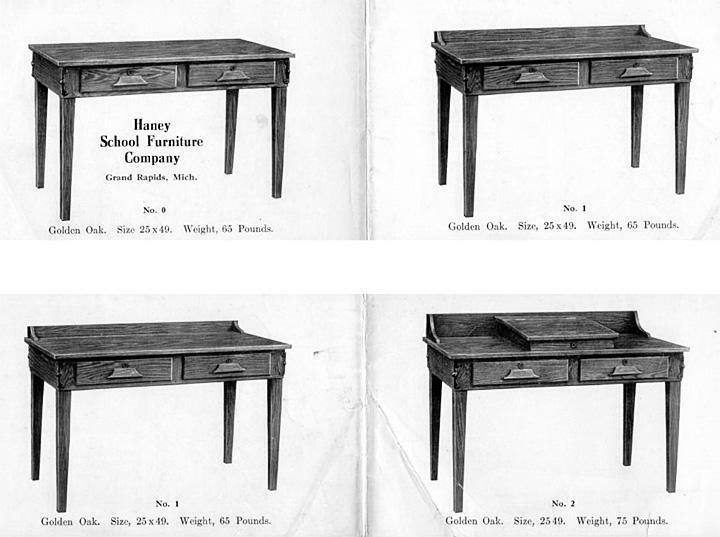 The pages inside feature a variety of desk styles suitable for schoolrooms and school libraries. Stamped at the bottom is the name of the dealer, M. H. F. Beckley, Chicago.